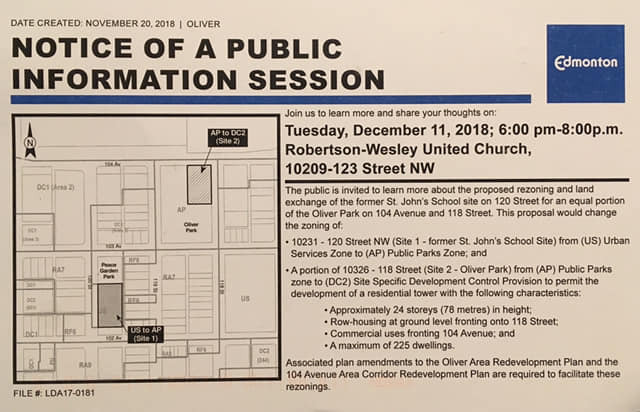 The Oliver Community League board voted at our January meeting against the suggested land exchange of the former St. John’s School site on 120 Street for an equal portion of the Oliver Park on 104 Avenue and 118 Street and its associated rezoning into a high density residential development. We have heard you loud and clear, Oliver residents, at various public City of Edmonton and Oliver Community League meetings. 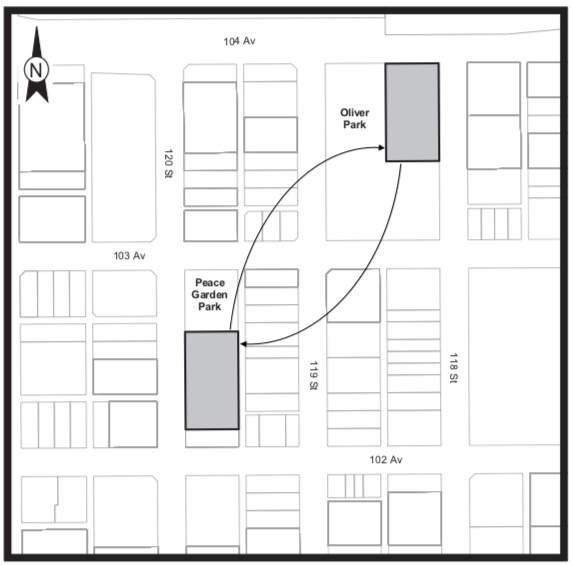 Rest assured: the protection of public spaces is of paramount importance to the Oliver Community League. By voting against the suggested land swap, we have voted for the enhancement and protection of public spaces for current Oliver residents and future generations. We value both Oliver Park and the former St. John’s School site as green and public spaces in Oliver. Our vote, however, is just one step in this process – while the Oliver Community League’s position informs our advocacy direction, City Council remains the ultimate decision maker. Make sure you reach out to our Councillor, Scott McKeen, to express your opinion regarding the proposed land swap. As the suggested land exchange ties into other discussions pertaining to community facilities, such as the future of the community league hall and the public pool, we will continue to advocate for the importance of parks and public spaces in Oliver. Keep your eyes and ears open for upcoming opportunities to continue the conversation as we brainstorm together the future of our neighbourhood!